London, in recent years, has seen a boom in foreign property investment. With various far Eastern economies generating a new class of super-rich, London’s property market bubble is seen as a safe cash haven for this elite. According to Savills, international premium property retailer, 50% of the capital’s prime central homeowners is now dominated by overseas investors, which is furiously contributing to property price inflation. Naturally, with Battersea Power Station being such an historically renowned architectural and industrial, Grade II listed, British icon, many are wishing to get a slice of the 400ft riverside views. Malasyian developers, Sime Darby, aim to create 3,500 new homes in 15 years, and have already sold nearly all of the 866 luxury apartments of the initial Circus West (or Phase 1) project, generating $1 billion prior to even being built. 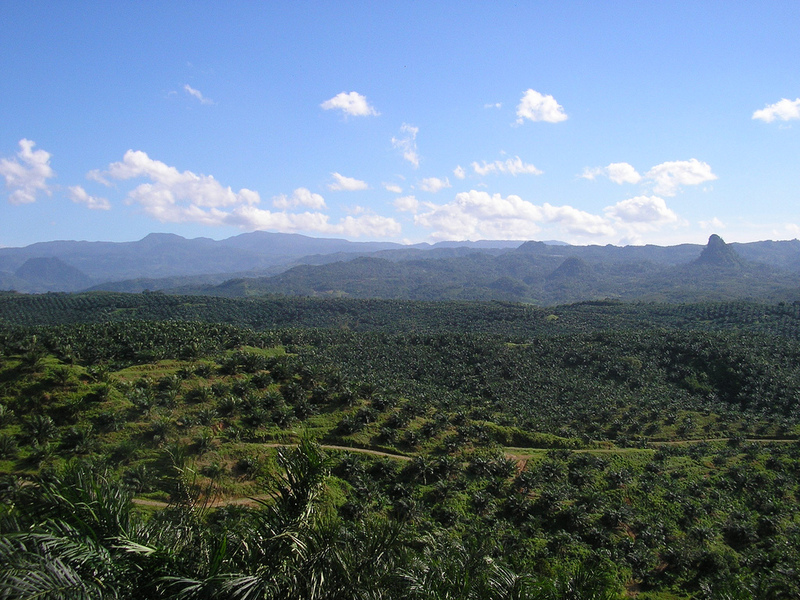 However, much contention surrounded the project when Sime Darby refused to release what percentage of their buyers were domestic or international. With property shows for the Battersea homes, which range from £365,000 per studio flat to £6million per penthouse, advertising in China, Russia and Malaysia it is now clear that around 55% of the homes, went to foreign money before even appearing in the pages of Property Week in Blighty. However, this PR stunt has recently been unearthed with a simple phone call to Battersea Power Station Development Company sales team. Upon being deciphered as an authentic potential buyer, the mole was told categorically that while there is a strict London-only launch of the Phase 2 properties on 1st May 2014, overseas investors are more than welcome to purchase the prospective homes if they are in the country or through their UK based agents. Therefore demonstrating that the press have once again been romanced into believing that developments of one of the greatest icons in British industrial history will be more than a juicy, international investment for oligarchs and millionaires. They have let this charade by developers go unchallenged and have reported it verbatim, letting our beloved Battersea Power Station slip further and further into flipping international hands. A Victory for Vito – The Chelsea Bridge Kiosk is Saved! After a campaign by Keith Garner, Brian Barnes, and lease-holder Renato Di Paola to keep the Chelsea Bridge Coffee Stall on Queenstown Road from closure, their efforts have proven fruitful. An online petition for the retention of the stall gathered nearly 1000 signatures from locals and “Ex-Bats” (people who were from Battersea, but have since emigrated as far away as Australia), all in support of the kiosk. 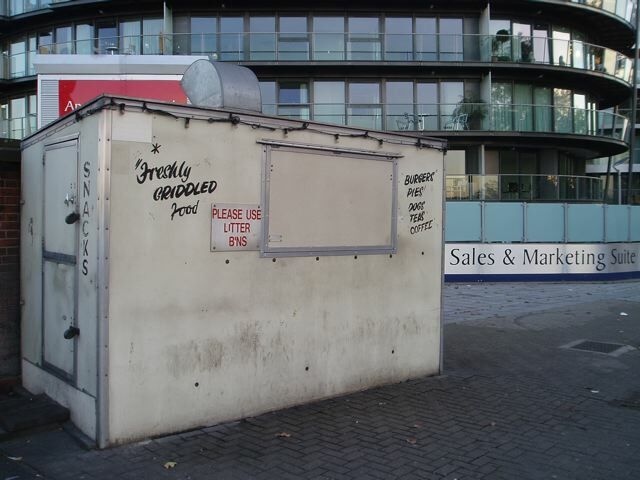 Original complaints and a request for the license (which still has a year left to run) to be revoked came from 27 members of the Chelsea Bridge Wharf Residents Association, whose apartments overlook the kiosk. The complaints described noise-pollution, litter and anti-social behaviour, such as urinating on stairs by the river and kicking balls. However, although residents submitted ‘photographic evidence’ of the litter in November and December, it was pointed out that the same photographs were repeated for each month. A trend that was also repeated in another 11 pages of images that were duplicated. It was found that alleged complaints about noise were never made to the council. Therefore, the council proposed a litter cleaning every 1.5 hours, but otherwise supported general consensus that Roberto’s nighttime license should remain intact. See our interview with Roberto in 2009 here. 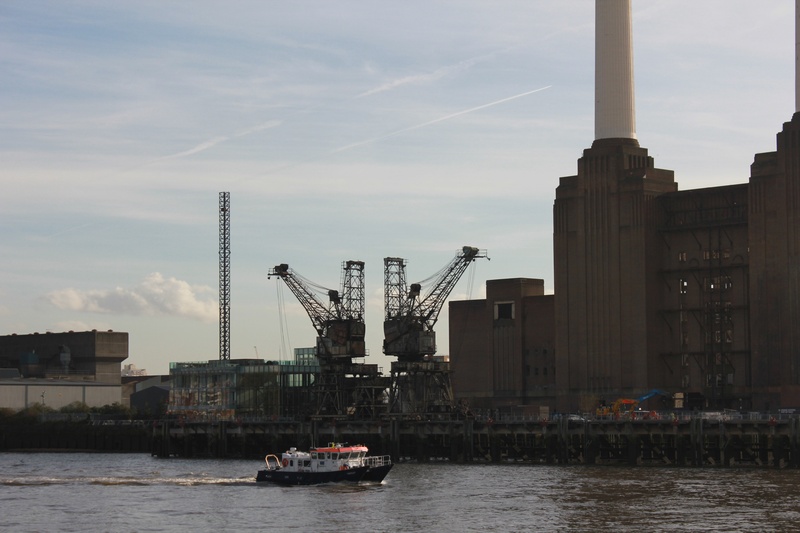 The new owners want to remove the listed cranes in front of the Power Station in order to use the jetty for the removal of spoil from tunnelling the Northern Line Extension ( NLE ). While it might be necessary to dismantle the cranes in order to restore there is no need to tie the timetable to the NLE works. The NLE will take years to complete even if it happens. Like the Euston Arch there is a real danger once removed they will never be put back. There is half a mile of river front where a more suitable purpose built jetty could be situated. It looks like yet another ploy to slowly clear the site of any historic or heritage obstacles to maximising profits- see demolition by stealth. Coal was usually brought to the Battersea Power Station by collier ships, and unloaded by cranes, which are still intact on the station’s riverfront. These two cranes were used to unload coal from barges for Battersea Power Station, and despite 25 years of disuse are in remarkably complete condition. 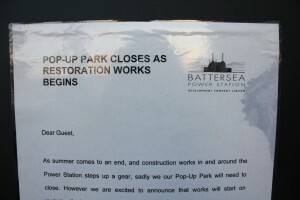 But obviously the owners of the Battersea Power Station don’t care much about that. They’ve already got permission to take the cranes down. 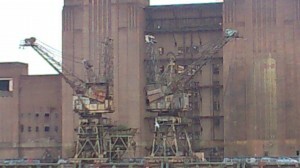 The cranes complement the Battersea Power Station and help to explain its purpose and function. Other industrial archeology has already been lost, notably the travelling coal conveyor (dismantled by Parkview in 1995) and the raking conveyors into the building. They should receive extra protection given these other losses. Licence to Chelsea Bridge Coffee Stall to be revoked? Wandsworth Council are considering revoking the licence to the 70 year old Chelsea Bridge Tea Stall. Poor owner Vito is on the edge of losing his beloved shop. Watch our 2009 interview with Vito about his stall here. Another attempt to please the rich? The ‘high class’ salesmen seem to look down on the simple and tasty snacks and warming drinks Vito is selling. 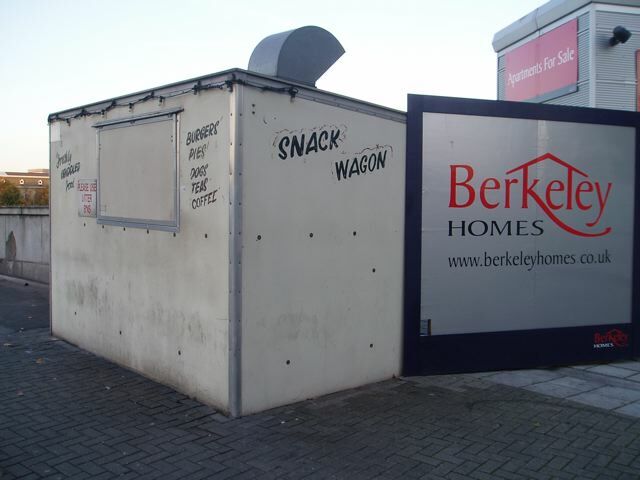 Before we know it, we will find this stand being replaced by a Michelin star finger food stall. As you may know, this stand has been there for at least 70 years, and is much appreciated. The residents of the new blocks did not like the biker gatherings, and as I understand it, these have, in general, being closed down and parking kept away from close proximity to the stand. I use that bridge at all hours, but have never noticed any litter or noise – which is not to say that it has not happened. Surely the council is not just cooking up excuses to continue to socially cleanse the area around the so called Vauxhall Nine Elms Battersea “Opportunity” Area. Seems one person’s opportunity is another’s loss of livelihood. Find here another objection, from Keith Garner, architect and member of the Battersea Power Station Community Group. I am writing to support the retention and renewal of the licence for the the Chelsea Bridge coffee stall which is a useful local facility for residents and people working in the area, as well as a local landmark and institution in its own right. I have lived close to Battersea Park for 28 years. As a local resident I know of no grounds for revoking or otherwise refusing to renew or extend the licence. In my experience, the customers of the stall have always been well behaved. This is not to say that there might not be occasional lapses. But is it important in an urban situation that everyone goes that little bit further to be tolerant and understanding. The stall has been there for as long as I can remember. I went there when the old “Chelsea Cruise” used to happen on Saturday evenings in the seventies and eighties. It certainly pre-dates the riverside flats by many decades. The owners of the flats would have been aware of the stall before the moved in, and had the option to go elsewhere. In any case the flats are some distance from the kiosk which is on the bridge itself. The management of the riverside flats are being too sensitive. I know from my own recent experience that it is not even possible to stop and look at the view from the riverside walk at night time, without their security guards coming out. The loss of the kiosk would further contribute to the loss of life and vitality on the riverside that these recent luxury flats represent. The coffee stall makes Battersea more interesting. It should be retained and valued. Hopefully the objections will be taken seriously. All we can do now is wait for a final decision. Will the chimneys be demolished all at once? 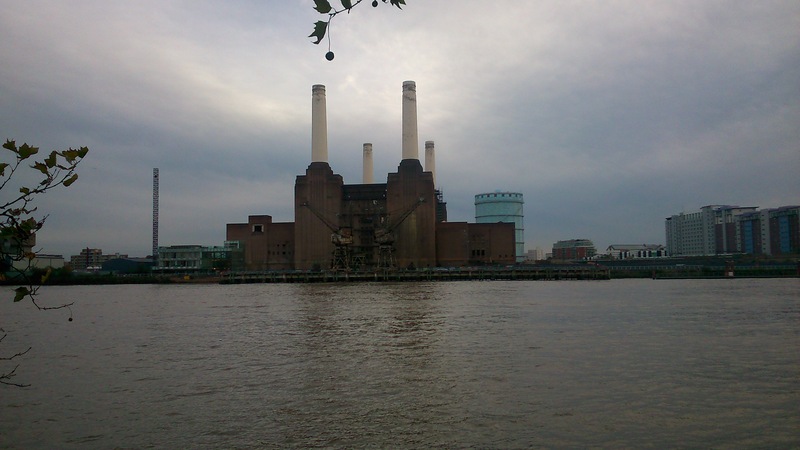 There is a growing worry about the survival of the chimneys on Battersea Power Station. While expert opinion says they could be repaired the developers insist they have to be demolished and replaced with replicas. To avoid a repeat of the roof situation – ( see Demolition by Stealth) where Bloom, a previous owner, took the roof off and then claimed he could not afford to replace it- planning permission was only given to demolish and rebuild the chimneys one by one, but now it seems like it is going to be a different story. South London Press wrote an article in their newspaper this week about the fact that Battersea Power Station Development Company (BPSDC) are pushing towards knocking all the chimneys down at once. This action is something that English Heritage has warned about, since it might result in the chimneys never being rebuilt. Now on the other hand are Battersea Power Station Development Company, English Heritage and Wandsworth council in discussion about removing the clause in the building contract that requires the chimneys being removed and rebuilt one by one. English Heritage have not been able to reassure Battersea Power Station Community Group that they are not willing to change their view on the demolition of the chimneys. 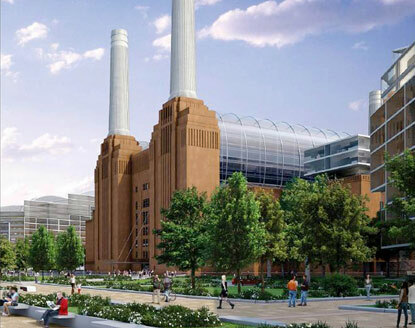 Battersea Power Station Development Company was claiming in an exhibition last week that replacing the chimneys one by one would be too time consuming and would delay the rebuilding and restoration of the power station. 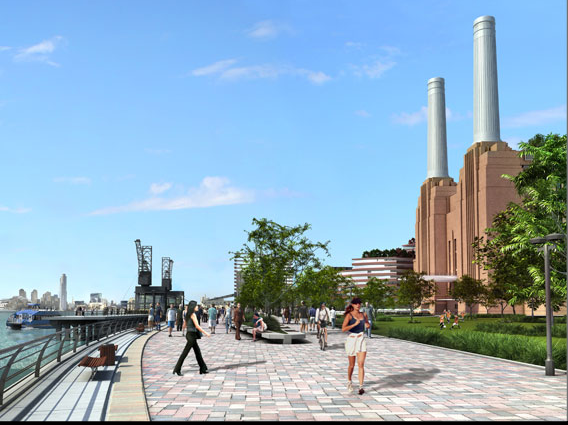 Wandsworth council claims that Battersea Power Station Development Company are examining different ways to rebuild the chimneys, but if there would be a change in the rebuilding strategy, it would have to be approved from the council in consultation with English Heritage. Is there still not a risk that the chimneys will not be rebuilt if they are taken down all at once? Since it is cheaper, and possible, to repair them rather then to replace them, why would a company who are driven by profit decide to do something that is more expensive? Is it not proof enough to suspect that if the chimneys are gone all at once, there will be a great risk that they are never rebuilt, and rendered historically worthless the power station will be demolished as well. The redevelopment of Battersea Power station has started and as we have written many times before, we are very concerned what the impact of the new neighborhood might have on the existing community. 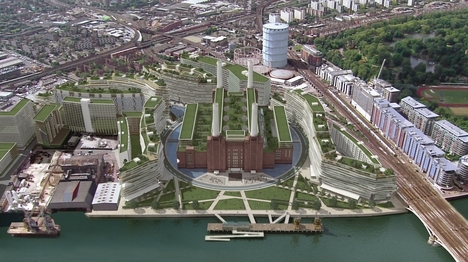 30-40 percent of the flats have been sold to foreign investors, said the CEO of the new Battersea Power Station Development Company, Robert Tincknell to the Evening Standard last week. He did also mentioned that even if they were bought up by foreign investors, most of the investors will probably rent the flats to londoners. Something that would contribute to the vibrant community they hope to build. He also believes that the new development will be good for local business and that they are trying to be a part of the existing community. The question still remains, would not a new development with expensive flats make the rent for existing houses higher? Tincknell says that he does not want Battersea Power Station to only be a place for the rich, but with the building plans they got, does it really sound like a place that is not only for the rich? Is the new Power Station scheme to change people’s quality of life? Rob Tincknell was interviewed in The Standard, Hong Kong’s biggest circulation English daily, about the plans for Battersea Power Station earlier this month. The power station was bought by three Malaysian companies, SP Setia, Sime Darby and Employee’s Provident Fund, in June last year. Tincknell said that the Malaysian’s vision for the site is better and different from the previous schemes, since this one is bigger and it is going to influence people’s quality of life. Tincknell failed to mention that people’s quality of life is not only going to change for the better. Like we have mentioned before, many in the nearby communities are people on low incomes, and with a luxury estate just across the road from their homes the rents will rise and their quality of life will get worse. Developers who want to attract really wealthy buyers have to build super-size apartment buildings with flats bigger then 6,000 square feet. The new penthouses in Battersea are planned to be 8,000 square feet, a size aimed to appeal more to the rich rather then the members of the Battersea community. Tincknell also mentioned that no other plans have had a good solution to the public transport, but this scheme is planning to extend the Northern Line with public money, a 1 billion loan from UK government to Transport for London. Two things are interesting with this statement. 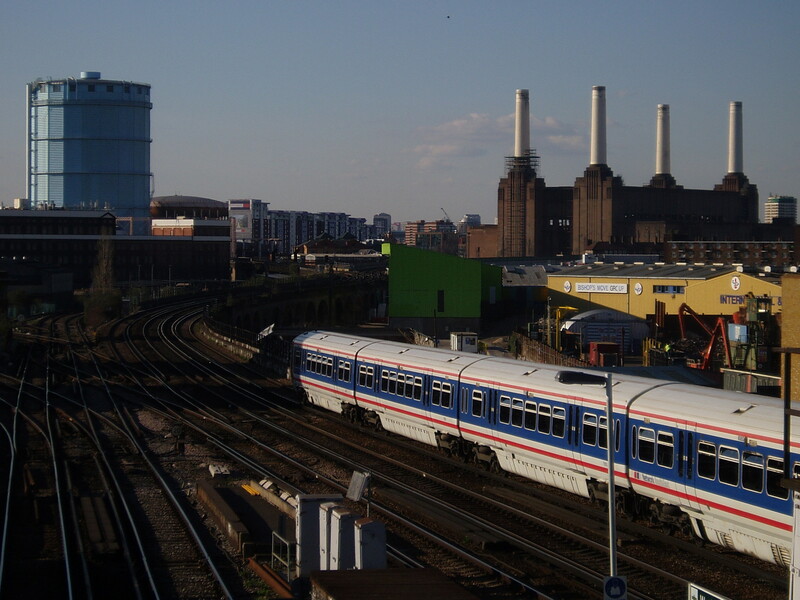 First of all, the previous owners of Battersea Power Station, who Tincknell also worked for, were the one’s who planned the extension of the Northern Line. Second, the owners were also suppose to pay for the extension as a contribution towards section 106- planning gain. Somewhere down the line the private-funding of the underground extension has turned in to a public-funding. In the end Tincknell said that tourists want to come and see things that are authentic, and he means that the Power Station surrounded by ugly new buildings will give “authenticity” to the place. The only question is, will Battersea Power Station survive after its chimneys have been taken down to be rebuild, and how much of its authenticity will it be able to keep? 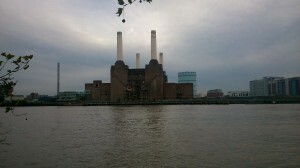 Battersea Power Station only a place for the rich? 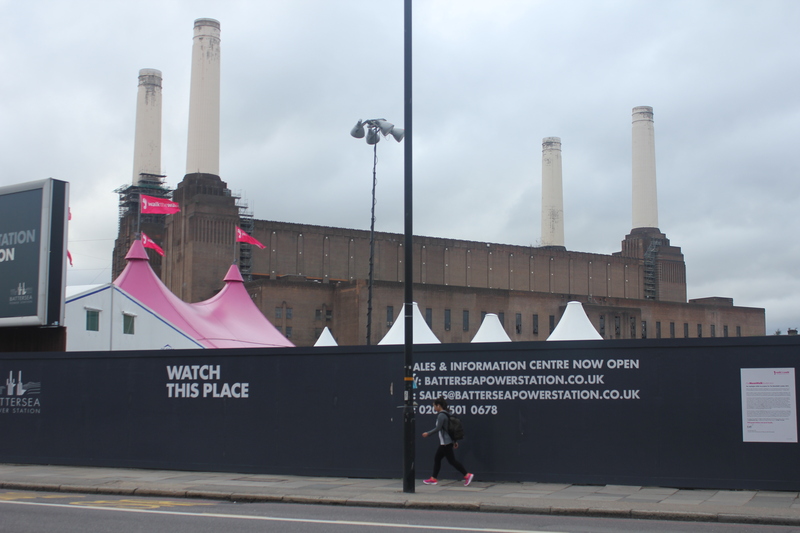 Supposedly, Battersea Power Station is getting a new life. The vision is of a lively community where people can contact each other through their own social networks, meet their neighbours in memberships clubs, small children splash in a pool while their mums chat, shoppers cruise cafes and exclusive shops unique to the area- for some a nice vision. A marketing person’s image of the perfect place to live, why would you ever want to move from one of the top five places in London? What can possibly be wrong with a community like this? One problem can be that the first 800 flats are being sold off plan to rich people in Asia. Even if the plan is to build 3,500 new homes, when a forth of the houses are being sold to people who probably will not live there most of the time, will that really contribute to a lively neighbourhood? An other question that needs to be raised is what is going to happen to the existing communities in Battersea? With luxury estates being built in the area, bringing expensive shops with them, the rents of the properties in the surrounding areas will probably be rise substantially. Especially if they succeed in building this community for rich people, the demand for apartments will rise and once again the rents will get higher. With many people in the neighbouring estates, such as the Patmore estate, being low-income, a rent increase would be devastating. This would lead to most of the people being forced to move, but the question is to where? And is it really fair to force people who served and have been a part of a community to leave it just because of the effects from the luxury buildings across the road. Especially since almost a forth of the flats will not be sold to people in London who needs a place to live. So one person’s idea of the perfect community is a nightmare for others. Is it really worth the price? And do we really want to live in a world where some people are worth more than other just based on money? 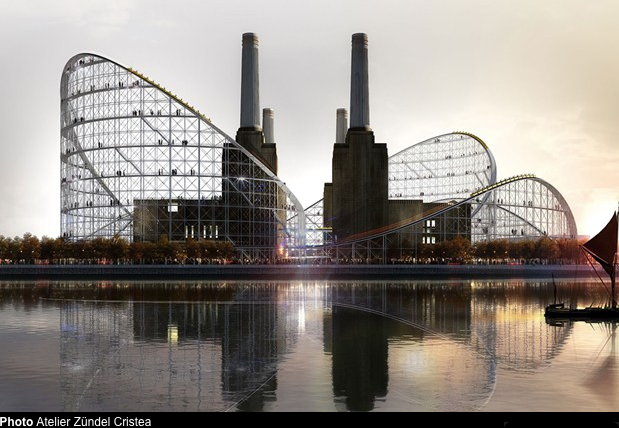 The “new” idea of a roller coaster wrapped around the power station. Wired Magazine wrote earlier this week about who the Architecture firm Atelier Zündel Cristea (AZC) had won a competition hosted by ArchTriumph. The competition was to use the Power Station as inspiration to imagine a new Museum of Architecture. AZC idea was to build a roller coaster around the Power station, add some new floors, have galleries inside and use the roof for exhibitions on architecture. 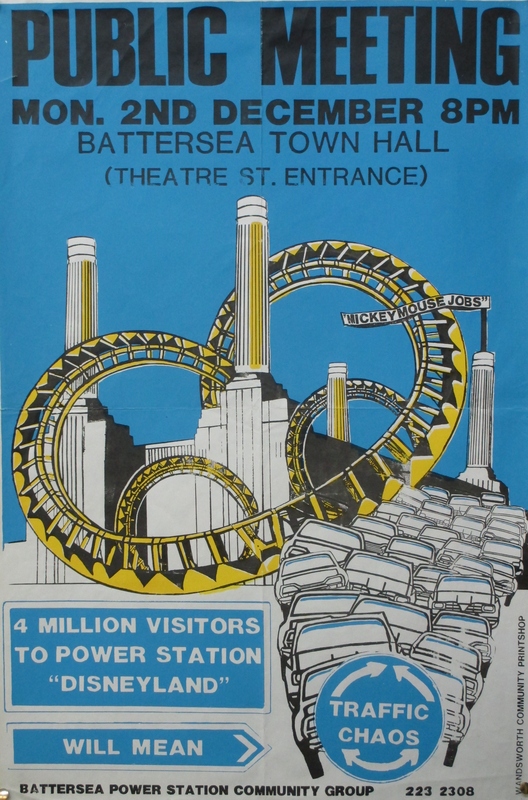 The idea of turning the Power Station into a roller coaster is not new. It is an old idea from Margaret Thatcher’s eighties that thankfully never happened.